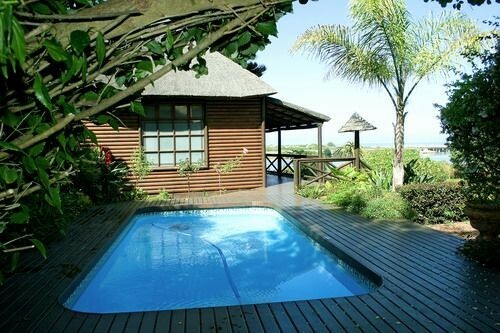 Affordable luxury B&B, guesthouse accomodation in Wilderness, the heart of the Garden Route. Explore George, Knysna, Oudtshoorn, Plettenberg Bay from here. Set against the backdrop of a leafy mountain forest and overlooking the Wilderness Lagoon, Bert & Nora and Jose & Jo welcome you to stylish, comfortable and well appointed rooms, each having a private entrance, en-suite bathroom and veranda and all with in a short walk to the golden beach, the lagoon and the charming Wilderness Village. 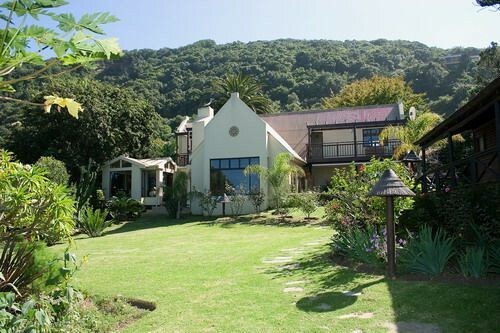 Having made Waterside Lodge your home, you may wish to do any of the out door activities available on our door step or decide to take a drive to Knysna, Plettenberg Bay, George or Oudtshoorn. At Waterside Lodge we offer true South African hospitality and promise to make your stay an unforgettable one. Credit cards accepted. 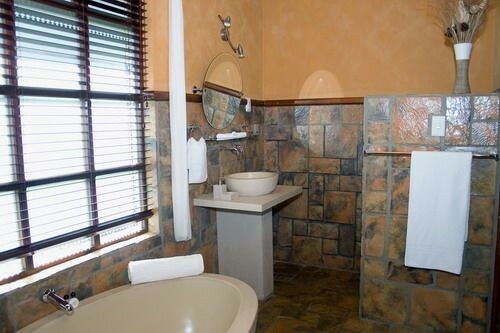 TGCSA 4 Star Bed and Breakfast. This large, freestanding log cabin under a thatched roof is named after the glorious Sunbird. The room is also our honeymoon suite and offers a king size bed, reading chairs, TV, fridge, tea/coffee tray and a large en-suite bathroom with a stone bath, separate shower and twin basins. 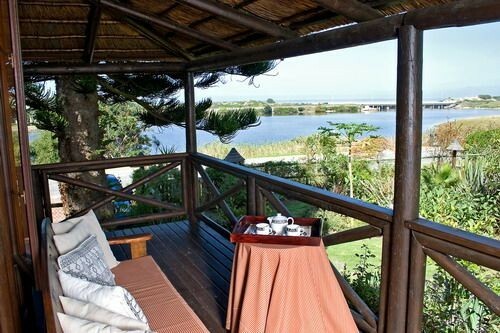 The suite has its own entrance and a large wooden deck overlooking the garden, with great views over the Touw River lagoon and the Indian Ocean. 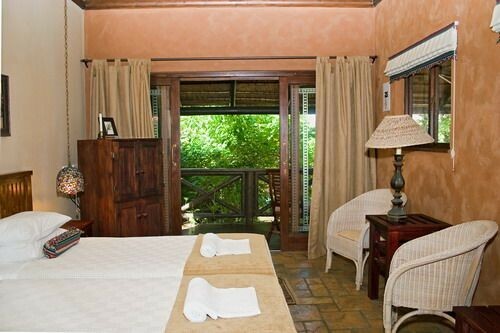 We can offer this suite at R400-R550 per person per night sharing including a full breakfast. Single rates at request. 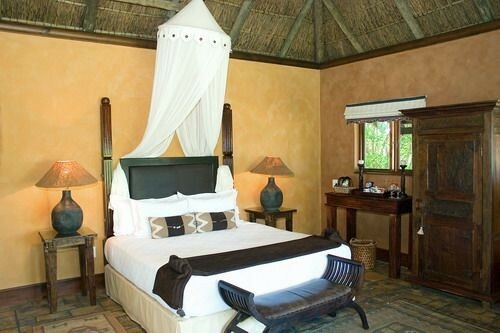 This double room overlooks the pool and lush garden with views of the lagoon and the Indian Ocean beyond. It has a king size bed, TV, fridge, tea/coffee tray and en-suite bathroom with a bath and separate shower. The room has its own entrance and shares a patio next to the pool. 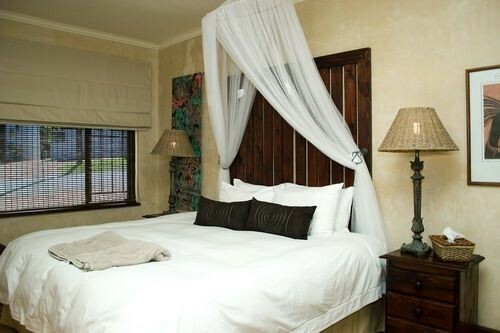 We can offer the room at R300-450 per person per night sharing including a full breakfast.Single rates at request. This is a freestanding, thatched roof log cabin tugged away in our lush garden. It has twin beds next to each other, TV, fridge, tea/coffee tray and a en-suite bathroom with a shower. The cabin has its own entrance and wooden deck which overlooks the garden with some ocean views beyond. We can offer the cabin at R300-450 per person per night sharing including a full breakfast.Single rates at request. This freestanding unit has two enter leading rooms. 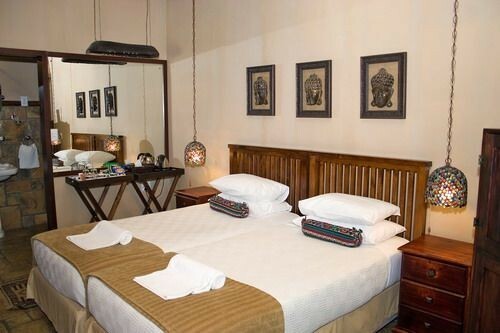 The one room is a bedroom with a double bed and en-suite bathroom with shower. The second room a lounge area with two single beds, TV, fridge, tea/coffee tray and hand basin. 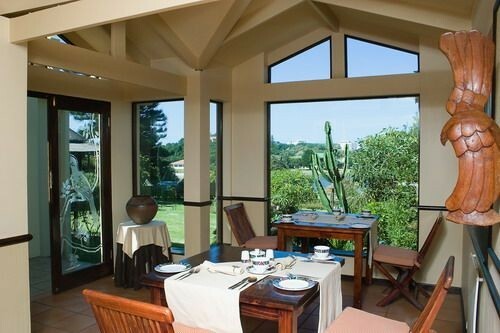 This room is ideal as a family unit, has a separate entrance and patio with mountain views. 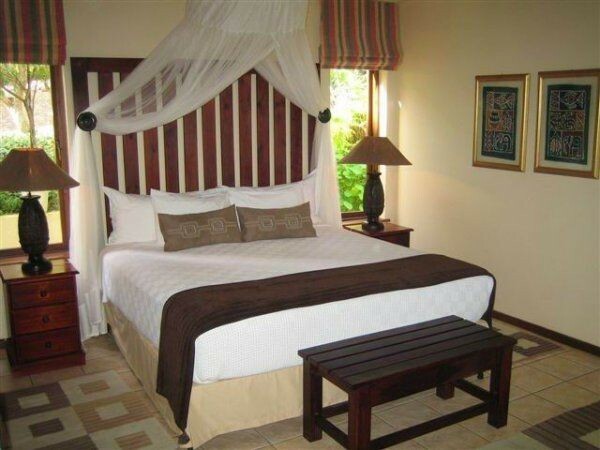 We can offer this unit at R300-450 per person per night sharing including a full breakfast.Single rates at request.